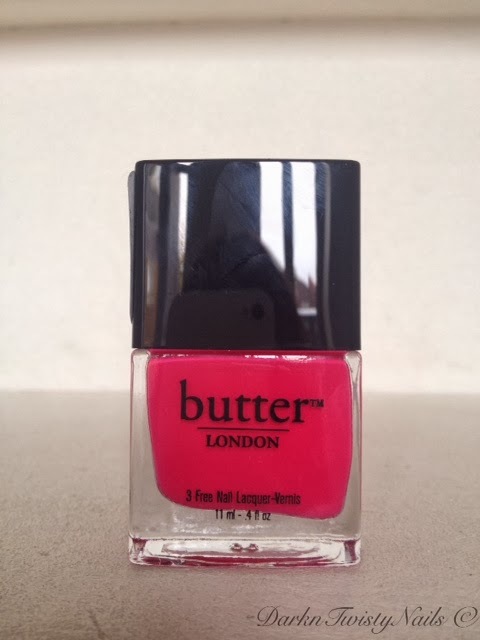 Butter London Snog is a hot pink cream with a raspberry tint to it. This is my kind of pink! Bright and in your face hot pink that looks good with my skintone. The formula of this polish though, is not so great... it's streaky and a little patchy. It takes 3 coats to get opaque and to even out on the nail. Luckily it does dry fast, so 3 coats is not too big of a hassle. 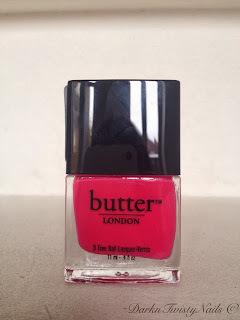 The Butter London brush is really small and narrow, I would have liked it better if it was just a little bigger and the handle was just a little longer. This would give you a bit more control. But I do really like how this polish looks. 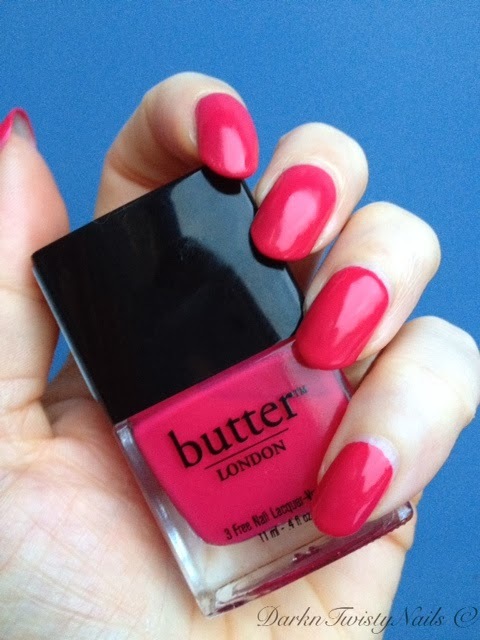 Do you rock pink nails and what do you think of the Butter London brush? I had to giggle reading this because, like you, I also have a small collection of pinks that pretty much just sit on my racks looking pretty! lol I'm not a huge fan of pink nails (on me), but I do have a couple that I actually like. I don't own Snog, but I love this color on you! 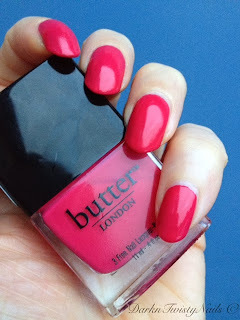 I agree about the skimpy butterLONDON brush...so annoying! I think I already said this on Instagram but again this looks fantastic on you and it is your pink for sure! To bad about the formula and brush! !